Memorializing the memory of your loved one is easier than you think. Memorialization is the term used for monuments or markers in a cemetery. A memorial marks a grave but it can also tell the story of a life through its shape, size, detail and finish. A monument might tell us the person was young, old, had traditional, formal or contemporary taste. The face of a monument is like a blank canvas. It may become ornate or remain simple and elegant. Woodlawn Memorial Park offers in-house design assistance to help you choose a monument or flat marker in bronze or granite. Some areas in Woodlawn have been designed for memorials made of bronze only, like the Cremation Gardens. 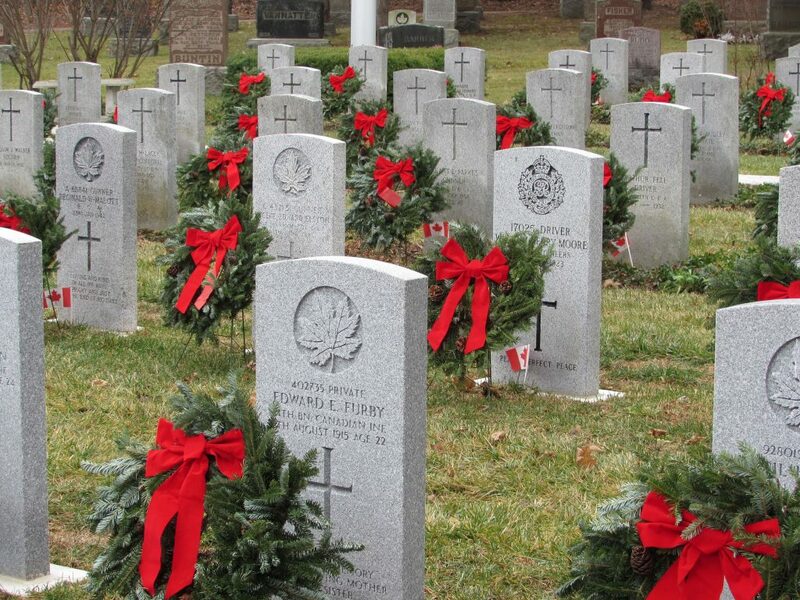 The wreaths, cremorial plaques, lawn markers and olive scrolls are all made of bronze. 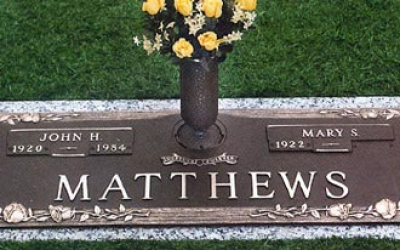 Our bronze memorials are created by Matthews and Phoenix, long considered the standard of excellence in cemetery bronze. A concentrated use of bronze adds a warm, rich glow to the area. 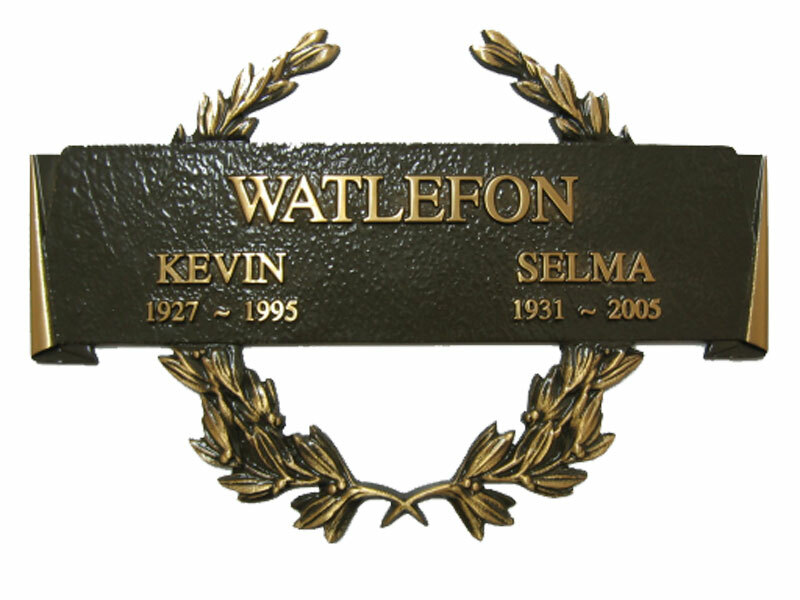 Bronze memorials are attractive features that add to the ambiance of the surroundings in which they are found. 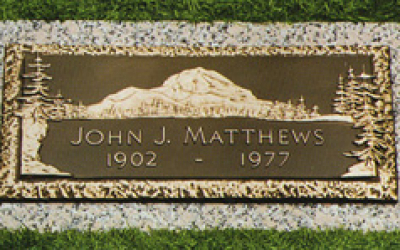 Our professional inscriber will carve the information on the granite memorials. It is precise, exacting work that requires an experienced eye and steady hand. Letter styles and sizes are confidently matched so that new inscription compliments the old. Our memorialist will help guide you, translating what’s already in your heart into a beautiful tribute that is cast in bronze or carved in stone. 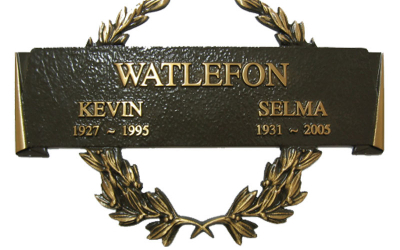 If you’d like to memorialize your loved one with a bronze or granite marker, our experienced staff can help you with the wording and design. We can also help if you need information added to an existing memorial, or if there is no room on an existing monument and you’d like to learn about your options. Woodlawn Memorial Park can give you the support and knowledge you need during this difficult time.